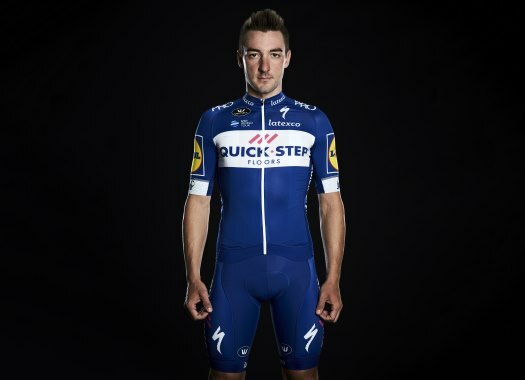 Elia Viviani (Quick-Step Floors) has taken his second stage victory at the 2018 Vuelta a España. The Italian rider was stronger than Peter Sagan and Giacomo Nizzolo at the final sprint. The Spanish grand tour returned after the first rest day with a mostly flat stage of 177 kilometres that included one climb of the third category at 30 kilometres from the finish. Tiago Machado (Katusha-Alpecin) and Jesus Ezquerra (Burgos-BH) were the escapees of the day and they built a gap of more than three minutes with the peloton. With around 40 kilometres to go, Jelle Wallays (Lotto Soudal) and Simone Petilli (UAE Team Emirates) crashed at the back of the peloton and the Italian seemed to suffer more serious injuries and had to be taken by a race ambulance. With 30 kilometres to go and during the ascent of the Alto de Fermoselle, Bora-hansgrohe set a very high pace to favour Peter Sagan for the final sprint. This speed reduced the gap with the escapees until they were caught a couple of kilometres later. At 22 kilometres from the end, Burgos-BH's Diego Rubio tried his luck and soon created a considerable gap with the rest. With around 17 kilometres to go, there were a lot of punctures that affected riders like Simon Yates (Mitchelton-Scott), Nairo Quintana (Movistar) and Wilco Kelderman (Sunweb), among others. With eight kilometres remaining, Rubio was caught by the peloton and teams like Quick-Step Floors, LottoNL-Jumbo and Sunweb took the lead to control the pace for a final bunch sprint. Lukas Pöstlberger tried his luck at the last kilometre and even though he could build a gap, he was caught some metres later. Quick-Step Floors did a good job for Elia Viviani, who launched a very strong sprint that Peter Sagan tried to follow unsuccessfully. Sagan and Giacomo Nizzolo (Trek-Segafredo) crossed the finish line in second and third position, respectively. The Italian rider took his second stage victory at this edition of the race. Yates keeps the lead of the General Classification.